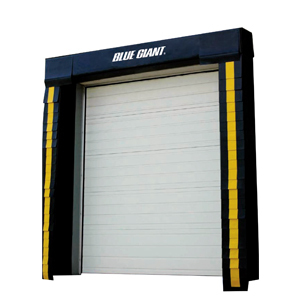 Blue Giant is a global leader in the development, manufacture and distribution of loading dock systems and material handling equipment including dock levelers, ground-level dock lifts, dock and door guards, door seals and shelters. To discuss your specific requirements call us on 01386 898253 or email contact@valeps.com. 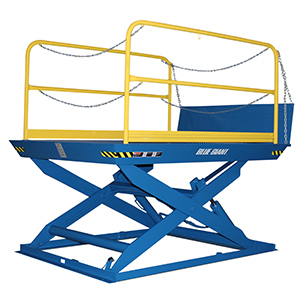 Scissor lifts can be customized to fit virtually any size and capacity required for the application. 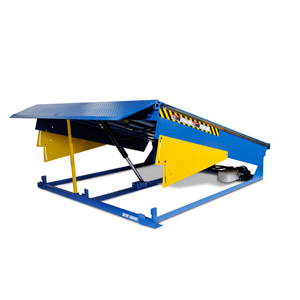 We recommend in-plant lifts for ground-level applications in warehouses and plants and single scissor and double scissor options are available. It’s best to opt for LoMaster™ dock lifts when a low-profile is required. To help protect the environment you work in, conserve more energy and protect products from contamination, we offer a variety of products including Dock Shelters, Dock Seals and Inflatable Dock Shelters. Sites and facilities have varied requirements and one may need a particular feature more than others.